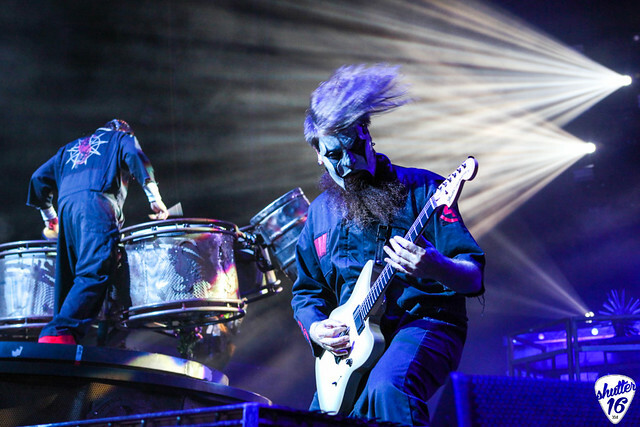 You are here: Home / National Music Coverage / News / Slipknot is Back! 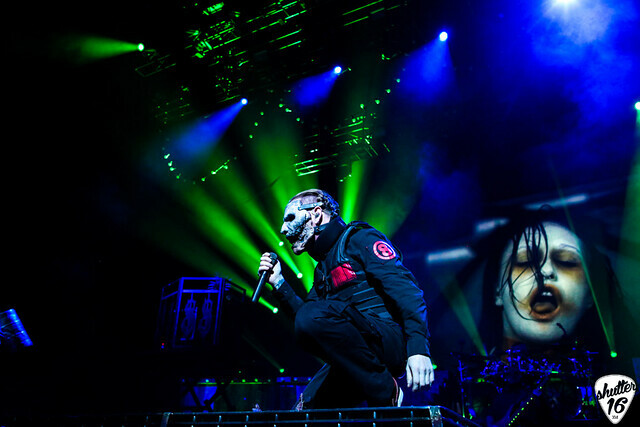 Slipknot is Back! Reviewed by Cindy McBride on November 1, 2018 . My fellow Maggots, the moment we have all been anxiously waiting for has happened, and on Halloween no less. That’s right, we have the first single off of Slipknots new album and it is literally giving us life right now! 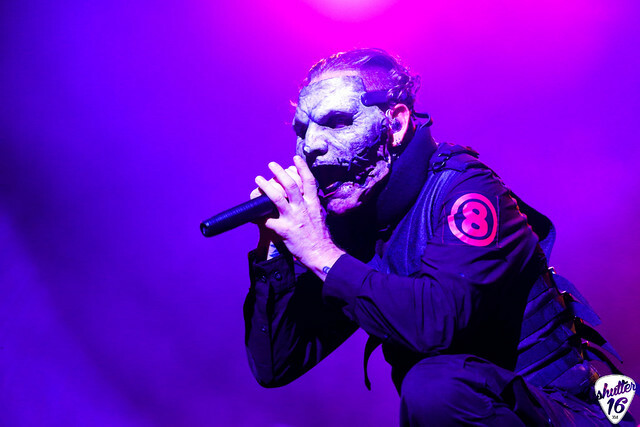 For those of you who have been out of the loop, we have been teased over the past few months with small tidbits of news from Corey Taylor, and other members of our beloved Nu Metal band of the upcoming 2019 album. 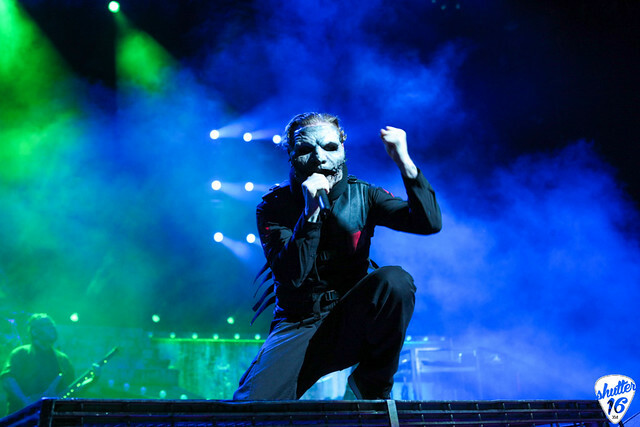 Of course is true Slipknot fashion, we were blessed with a not only a new single but a new music video on Halloween! Forget the Monster Mash, “All Out Life” will be on nonstop repeat for this metal head for the remainder of the day! In the short hour that the official music video has been up on Youtube, it is currently over 150,000 views. Listening to “All Out Life” on repeat for the past hour you can definitely hear and feel the “Iowa” vibes from not only the vocals but the music itself. Add in the slight twists from “Volume 3” and “Slipknot” it brings back so many memories and makes us look forward to the new ones we will create with the release of the album in 2019. Hearing the intro by itself gets us pumped. We’re talking about moshing in your living room and scaring the neighbors pumped. With 2019 right around the corner we can barely contain our excitement for Slipknots sixth studio album. Can we just have the whole thing now? Pretty please with maggots on top! Keep your eyes peeled for more exciting news of this miraculous album we have been starving for four years! Born​ ​and​ ​raised​ ​in​ ​Winston​ ​Salem​ ​NC,​ ​Cindy​ ​is​ ​a​ ​professional​ ​taco​ ​enthusiast​ ​and​ ​proud Hufflepuff.​ ​Fangirl​ ​by​ ​day,​ ​and​ ​concert​ ​photojournalist​ ​by​ ​night,​ ​Cindy’s​ ​photography​ ​career started​ ​in​ ​2010​ ​when​ ​her​ ​fiance​ ​took​ ​her​ ​to​ ​her​ ​first​ ​local​ ​show.​ ​With​ ​a​ ​small​ ​Kodiak​ ​point​ ​and shoot​ ​in​ ​hand,​ ​she​ ​quickly​ ​fell​ ​in​ ​love​ ​with​ ​the​ ​local​ ​music​ ​scene​ ​and​ ​concert​ ​photography.​ ​With musical​ ​tastes​ ​varying​ ​from​ ​Acapella​ ​to​ ​Heavy​ ​Metal,​ ​there​ ​is​ ​no​ ​telling​ ​what​ ​you​ ​will​ ​hear blaring​ ​from​ ​her​ ​headphones​ ​from​ ​day​ ​to​ ​day.​ ​When​ ​she​ ​is​ ​not​ ​spending​ ​time​ ​with​ ​her​ ​family, friends,​ ​or​ ​furbabies,​ ​you​ ​can​ ​find​ ​Cindy​ ​with​ ​her​ ​nose​ ​buried​ ​in​ ​yet​ ​another​ ​book,​ ​binging​ ​Netflix with​ ​her​ ​bearded​ ​better​ ​half,​ ​or​ ​out​ ​and​ ​about​ ​at​ ​various​ ​shows. Elle King returns to the Queen city to Shake The Spirits.